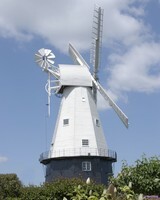 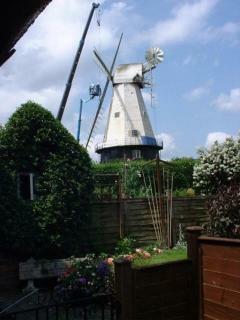 During 2002 and 2003, the mill underwent major renovations funded jointly by Kent County Council and the National Lottery Heritage Fund. The old sweeps with hollow steel stocks were removed during July, 2002 - see the pictures below. New sweeps with laminated wooden stocks and patent shutters were constructed at the millwrights, IJP (formerly The Chiltern partnership), near Henley-on-Thames. 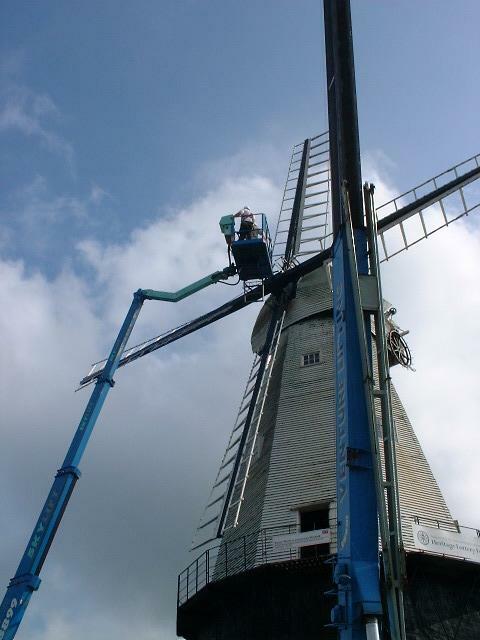 These are lighter than the old sweeps and have been rebuilt with a better "weather" (twist) so are much more efficient at catching the wind. 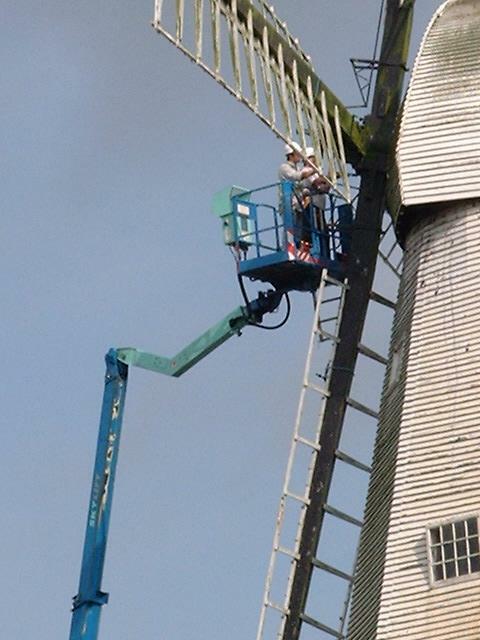 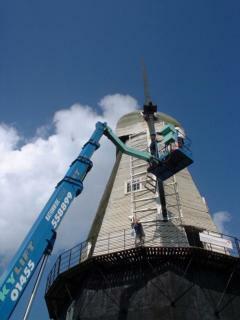 The mill was clad with scaffolding in April 2003 so that the weatherboarding could be renewed and the lower boards of the cap also removed to facilitate the lifting of the cap from the top of the smock. 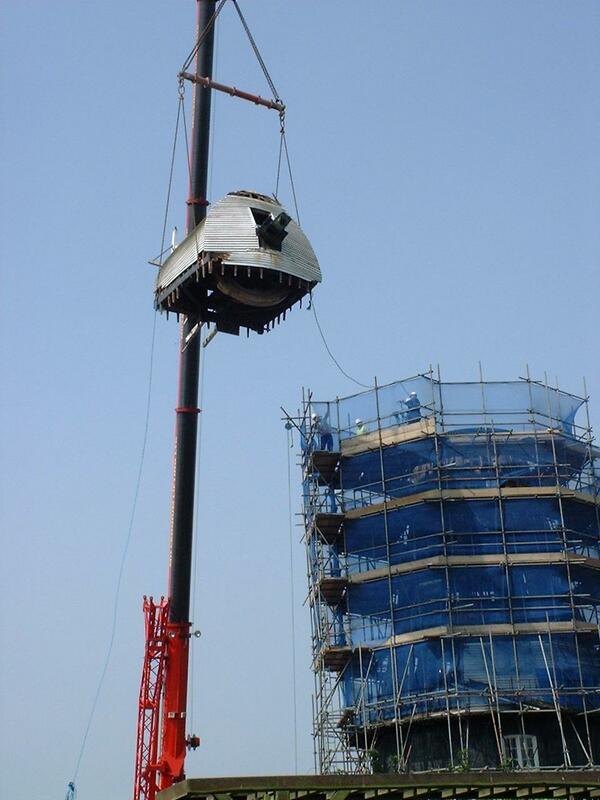 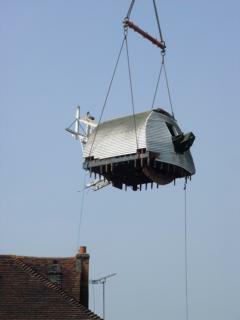 The cap was transferred by crane to a low-loader on 23rd April 2003 (St.George's Day) and transported to the millwright's in south Oxfordshire for repairs. The cap without the fantail and sweeps weighed 7.5tonnes, according to the crane's equipment. 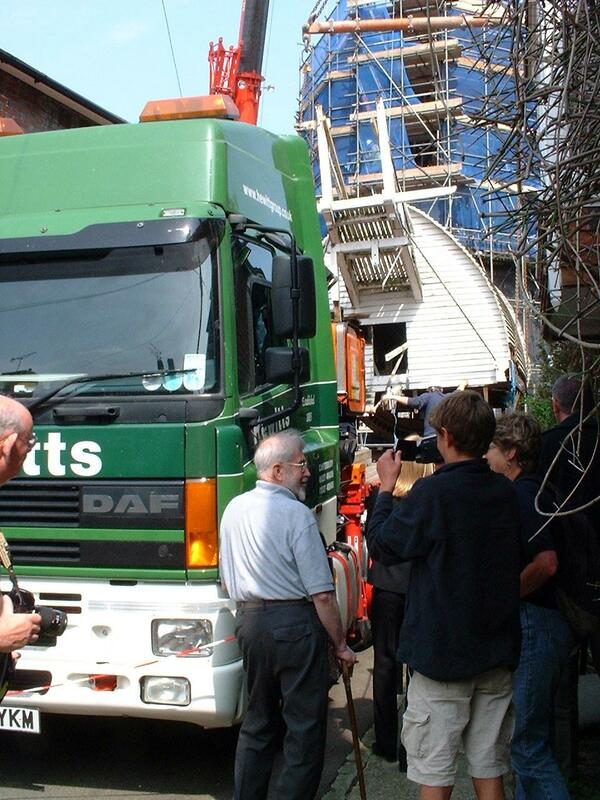 As can be seen from the pictures below, there wasn't a lot of room to spare in the approach road! 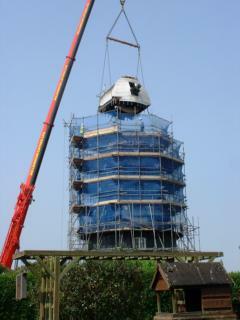 A temporary wooden roof was fitted to the smock to keep out the weather.